For example, when we get angry at someone, it usually isn’t something we personally dislike within that person, but more likely, it is something that we fear within ourselves. This provides us an OPPORTUNITY to overcome this fear or negative emotion through self-reflection while helping us on our spiritual progressions. One thing you can do is to silently send love to everyone you come in contact with. When you are driving, you can do the same thing to the drivers in the oncoming traffic. Or you might try stargazing and send out the intent of love to the galaxy and universe. 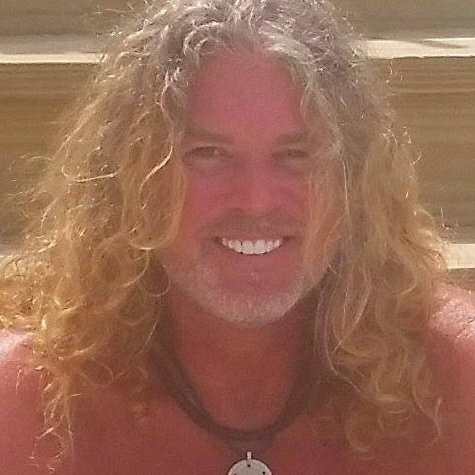 How can I tell if I am in Harmony with the Universe? Once you begin to release all fear, the Universe will align itself with your new energies. You can tell that you are in perfect alignment when you are receiving that which you are positively giving to others. This does not necessarily mean wealth or materialistic possessions but it is more on a level of positive energy exchange, although it could possible include money or physical possessions. The main aspect is the intent behind it. When you give, always give without conditions attached or expecting anything in return. When you do this, the universe will reward your kind acts to others to create a symbiotic balance between what you have done for others and what you are about to receive! 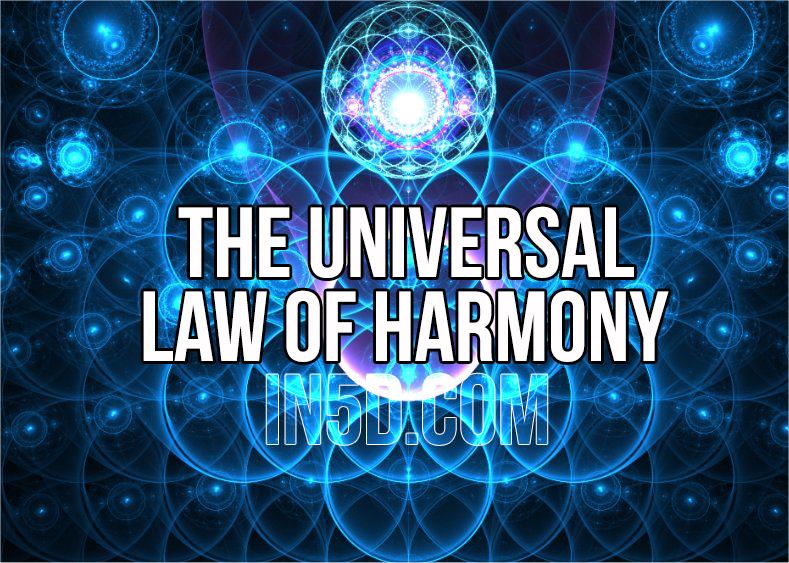 The Universal Law of Harmony is arguably the most important of the 20 Universal Laws. 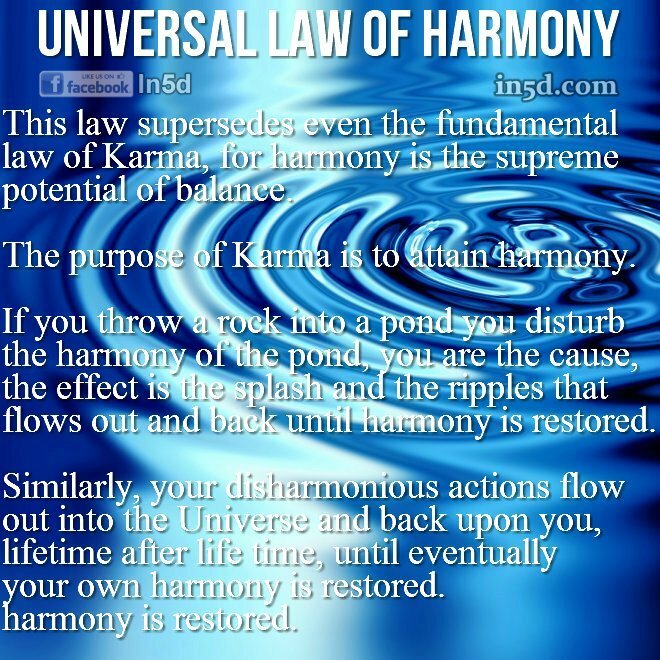 To view the remain 19 Universal Laws, click HERE.